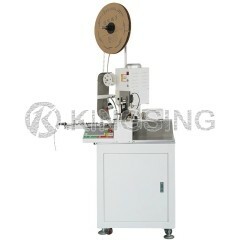 The most economic and efficient way to process single wires and terminals. KS-T101 is suitable for a broad range of continue terminals. 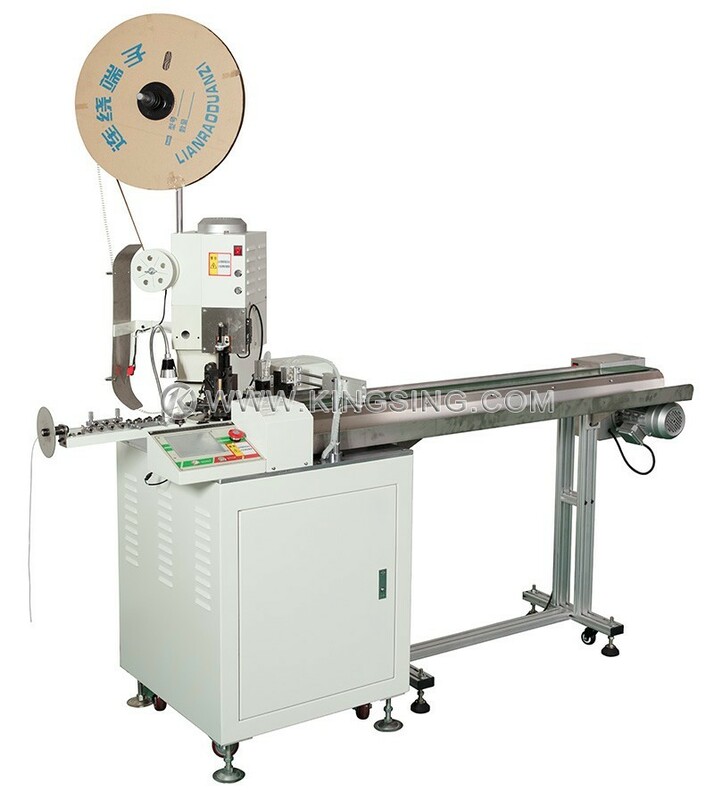 Standard OTP crimping die, both side-feeding die and straight-feeding die can be used on this crimping machine for processing, the changeover is convenient and timesaving. 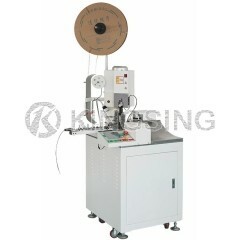 KS-T101 is designed for one side cutting and stripping, and the other side full-strip/semi-strip and twisting. All required processing parameters such as cutting depth, cutting length, stripping length and crimping depth can be set in and saved in the LCD touch screen. The wires and terminals are handled carefully, gently during cutting, stripping and crimping procedure. 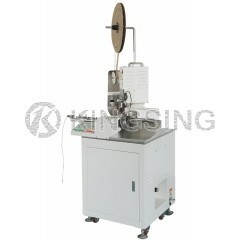 Side-feeding die and straight-feeding die are both available for processing. 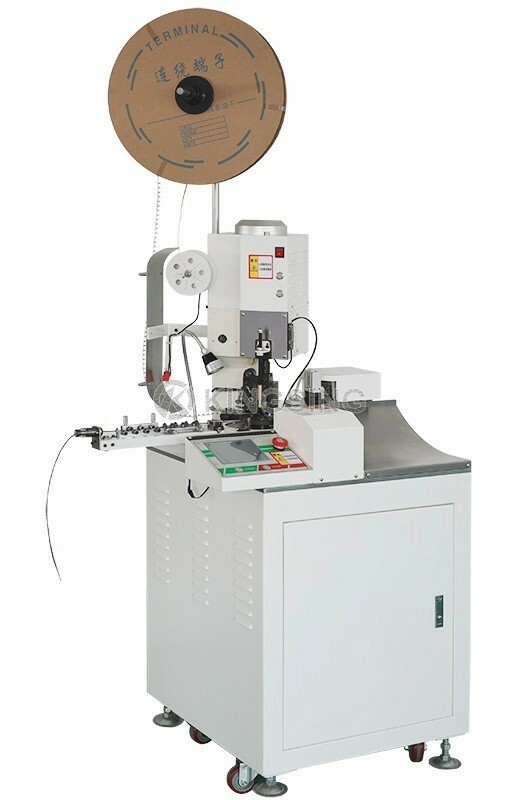 If you have special die set, we can change the machine to fit your die (for example: JST, Molex, AMP and other brand die set are both customizable). 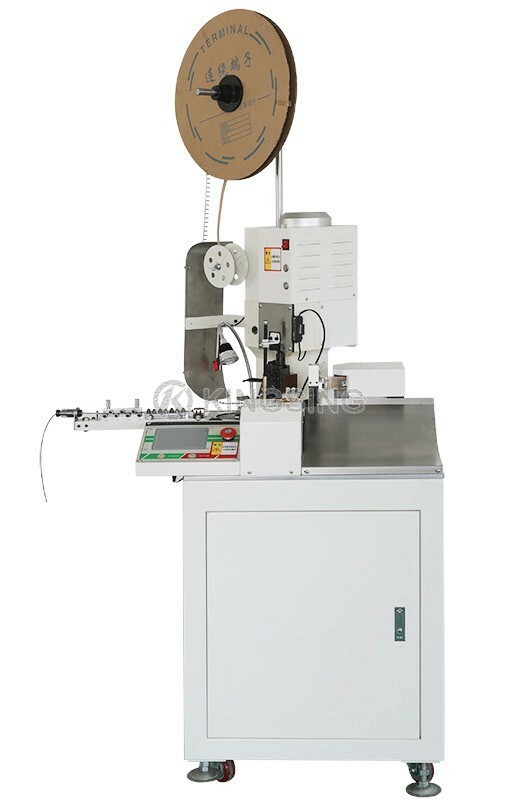 With its fast speed, high efficiency, stable performance and most importantly its affordable price, KS-T101 has become one of Kingsing’s most popular crimping machines. 1. Design a vibration plate for loose terminals, automatic feed terminals to crimping die. 2. 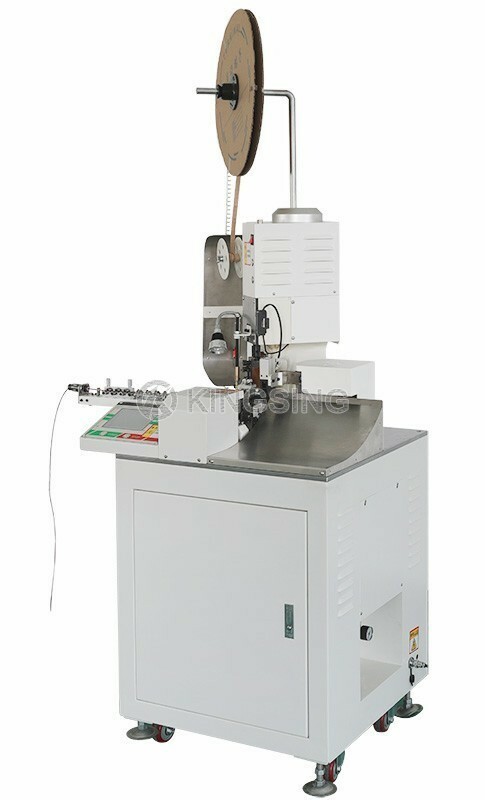 Change the crimping machine to casting version with more stable performance. 3. Update the stepping motor to server motor with higher precision. 4. Install a wire conveyor belt for processing long wire (such as 2 meters long wire processing). 5. Add a pressure monitor system to monitor each terminal's crimping force. 6. Other function the customers require to implement.